The Big Game is set for Sunday in Atlanta. Being one of the most traveled to events by private jet each year, The Super Bowl can create some hectic travel times (especially with non-refundable slot fees) in and out of the host city. 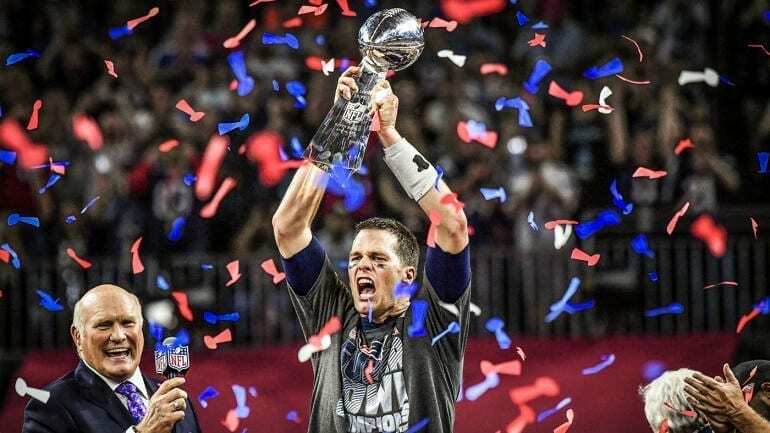 Magellan Jets has all the information you’ll need to know before you touch down in Atlanta so the only thing you’ll have to worry about is who will hoist the 53rd Lombardi Trophy. A Temporary Flight Restriction (TFR) has been scheduled for Sunday, February 3rd from 5:30 PM to 12:00 AM in the Atlanta area. If you wish to depart during this time on Sunday, additional TSA screening procedures will be required. Additionally, President Trump may be attending the Super Bowl and additional TFR restrictions may go into effect with little or no notice. Your Flight Support team is consistently monitoring Presidential TFRs and will advise as soon as possible should the Presidential TFR go into effect. At least one half of the major fanbases in headed to the Atlanta out of the frigid New England area will have to be fully prepared for de-icing. The crew, FBO and deicing operators will work together diligently to expedite or avoid any delays caused by deicing services. Please note that additional de-icing costs will be passed along if incurred. For full details on de-icing and how to prepare, click here. Enterprise, National, and Hertz will be available, but place your reservation ASAP due to limited availability. No vehicles will be allowed rampside. There will be a separate area for limousines, rental cars, etc. Signature will have staff that brings up rental cars. Slots will be required for departure and arrival. Slots are based off availability. The slot fee will be non-refundable and will include a charge to make changes after the slot is booked. Prices are subject to change based on availability. TFR scheduled for 2/3. Restricts non-scheduled operations within 10 miles. Specific times yet to be confirmed but likely starting 2/3 at 1630-2200L. Enterprise and National will be on site. Inform Flights Support your reservations ASAP to insure the best availability. Cars will not be allowed rampside. TFR is scheduled for 2/3. Restricts non-scheduled operations within 10 miles. Specific times yet to be confirmed but likely starting 2/3 at 1630-2200L. Standard shuttles to the aircraft are available. Slots will be required. Given a preferred departure and arrival time based off availability. Each change after a slot is confirmed is $75 per change. GoRentals is on site at the FBO, Hertz and Avis do deliver. FBO will allow planeside service, both chauffeured and personal vehicles. Non-refundable slot fee of $1,495.00. All of PDK will utilize slots between 1/30 and 2/5. A slot guarantees a specific arrival and departure time. You are able to select your preferred arrival and departure time. No fee for changing reservation as long as the change can be accommodated. Enterprise has a presence at Epps. Hertz is nearby the FBO and will deliver. GoRentals is on the field. No cars will be allowed rampside. Different locations/stations will be arranged for rental vehicles, chauffeured vehicles and Uber. There will be food arranged for the pilots. Slots will be required between 1/30 at 0500 through 2/4 at 2352. $1490 each, accommodates one arrival and one departure. Non-refundable. .
Times can change based of availability. TFR scheduled for 2/3. Restricts non-scheduled operations within 10 miles. Specific times yet to be confirmed but likely starting 2/3 at 1630-0000L. Hertz is on site, Enterprise will have a presence at the FBO. No vehicles will be allowed on ramp. One of the hangars will be utilized as a meeting place/valet service location for passengers and drivers. Buses and limos will meet the passengers at the hangar. Taxi service, Uber and rentals will meet through FBO, in the parking lot. Representatives will be throughout the FBO, directing passengers as necessary to the appropriate ground transportation meeting point. Slots will be required from 1/30 to 2/5, each slot will incur a non-refundable, non-transferable $1,700.00 fee. A slot guarantees arrival and departure times. When booking a slot, you will provide a preferred arrival and departure time. Your assigned slot will be based off availability. There will be approximately 9 slots per hour. Please reserve parking ahead of time. Open from 0600 on Saturday, 2/2 through 2300 on Sunday, 2/3. There will be standard facility and overnight fees, expect slightly higher costs due to Super Bowl. There will be a “Hospitality Suite” on site, open to crew and passengers, at the second floor of Elevation Chophouse. The Hospitality Suite will be open on Saturday and Sunday. Enterprise and Hertz on site. GoRentals, based out of PDK, will deliver. Book rentals through FBO. If utilizing Uber, use Elevation Chophouse as the Uber destination. No vehicles will be allowed on the ramp. There will be shuttle service from aircraft to FBO. Remember your tail number when parking for shuttle. Slots will be required from 1/30 thru 2/4. Each arrival and departure is $1500 with a $100 arrival fee ($1500 + $100 for arrival, $1500 for departure). Slot times are based off availability. Once you confirm a slot, changes are $300 each. Normal overnight charges will apply. FBO will be open 24/7 from 1/30 thru 2/4. There is limited aircraft parking. Standard Facility fees will apply. Two deicing trucks on site. The best way to assure your travel runs smooth and efficiently is to book ahead of time and know all of the details of the your preferred FBO regulations. The Magellan Jets Flight Support Department is staffed 24/7/365 to help get you to Atlanta for the big game and equipped with all the regulations for the surrounding Atlanta airports. Click below to get an instant quote to the big game.